Outsource2india offers an array of photo editing services to global clients. Our client list entails freelance photographers as well as professional studios. Keeping in mind varied image editing and budgetary requirements of our clients, we have created elaborate pricing structure. We edit images on a per image basis, hourly basis, and can also dedicate a full-time resource for your image editing project (for large project or a long-term requirement). Please have a detailed look at our pricing structure. Note: The prices mentioned below depend on multiple factors including, terms of contract complexity of the project, skill and expertise of the hired image editors, and volume of work. Our basic photo editing rates (per hour) are nominal, and you can contact us to know the exact pricing details for customized editing tasks. 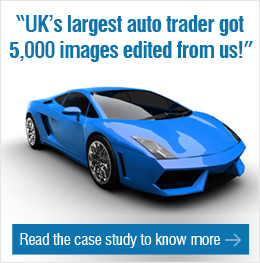 We provide services of dedicated full-time image editors at competitive rates on a monthly basis. This is an ideal option if you have on-going photo editing requirements, or when you experience higher work volumes. Please note that all prices on the site are only INDICATIVE. The actual rates will change depending on the type of the project, complexity of work, skill and experience of the resource, terms of contract, and some other factors.